Want to know more about the Australian Pools? Australians spend around $9 million each year on The Pools. With weekly prize jackpots of $60,000 and lower division wins at odds of at least 1 in 297 the game offers a good chance for players to walk away with a good return on a low stake. In this guide, we take a look at how to play The Pools, what kind of money you can win and ways to improve your odds. 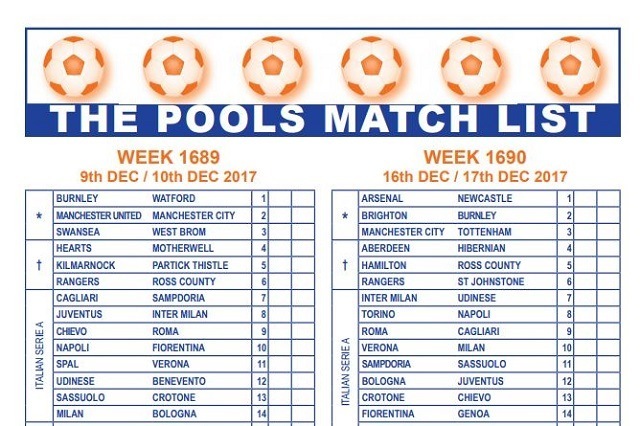 Also known as the ‘Soccer Pools’ (or ‘Football Pools’), the game of pools has been played since it was first introduced in the UK in 1923. The game remains very popular in the UK and regaulrly results in some huge jackpots. The largest single win was recorded in 2010 when one man won £3,001,511. In Australia, the jackpots aren’t quite as big but can still exceed six figures with jackpots that aren’t won rolling over to the next draw. In September 2017, a syndicate of five-people in Melbourne took home a jackpot win of $1,130,973.82. 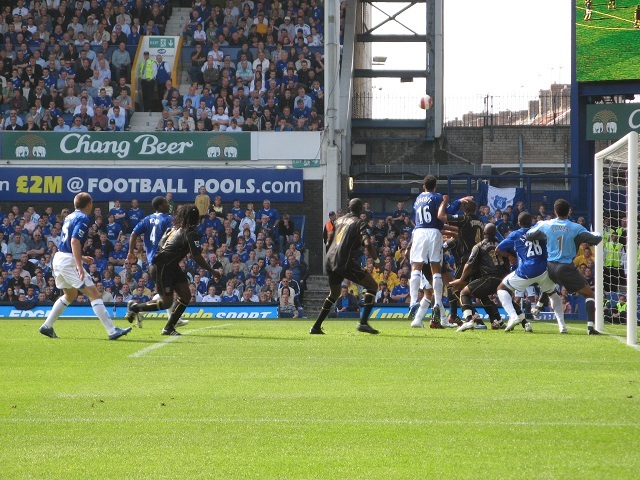 The Pools uses the results from European and Australian soccer matches to determine a set of winning numbers. Image via Wikimedia. The game is based on the results of selected soccer (association football, not Aussie Rules) matches with each selected game ascribed a number from 1 to 60. The first 38 numbers are the main games with matches 39-60 being reserve games in the event that any main football matches are cancelled, postponed or voided. Players choose six numbers with those who believe they have an understanding of the game of soccer studying the selected games carefully. The winning numbers are then chosen by ranking all games played. Each game is given a ranking based on their final score with those games which end in the highest scoring draw getting the highest ranking. A draw means that no team wins and the score remains level after full time. Games that end with the highest number of goals will rank higher than nil-nil draws. Away team wins score the next highest ranking with a smaller goal difference ranking higher than a larger goal difference. Thus, a 1-2 win to the away team will rank higher than a 0-4 win. If your numbers match the highest score draws then you could win the Pools jackpot. Image via Wikimedia. Home wins score the lowest ranking on a similar basis. The highest ranking six games are designated as the winning numbers. A seventh game is also added to the winning numbers as a supplementary number (much like in the lottery). Administered by the SA Lotteries on behalf of the Australian Soccer Pools Bloc, The Pools matches are selected from domestic games in Australia as well as from matches played in Europe. Playing The Pools is a popular way to gamble in a syndicate with groups of playing ‘pooling’ their entry fees and using the same combination of numbers each week. By playing in a syndicate, an individual improves their overall chance of winning although the prize fund will be split between more people. Syndicate play can be a great way to increase your odds for games like the Lotto or The Pools but need to be set up right to avoid any disagreements in the event of a large win. One of the enduring lures of playing The Pools is the fact that it requires no knowledge of soccer in order to take part. Though many people study the matches available to play in the belief that they can predict the outcomes, there is just as high a probability that a random set of numbers will win the prize pool. Game play is simple and you can play online, in-store at a lottery retailer outlet or via theLott app. Simply select six numbers from 1-38 and choose the number of games you would like to play. A QuickPick will randomly generate six numbers for you or you can use a Marked Entry by selecting your own favorite numbers (or carefully selected ones from the week’s match list). In addition, you can opt to improve your odds (see The Pools: Odds, below) by opting to pay extra for either a systems entry or pick entry. Or you can take advantage of the ‘systems entry’ that is offered with The Pools. More to play but offering a better chance of securing a prize, a systems entry allows you to use the same number in a wide variety of combinations which should improve the odds of winning. Quick, easy and offering an engaging way to play, the Pools can pay big. Image via TheLott. Some players use the laws of probability to help them predict winning numbers and carefully study the frequency by which certain numbers are drawn and therefore the likelihood of their being drawn again. This kind of strategy is not recommended as the chances of a number being drawn more frequently are simply one of chance and every draw offers the same odds. The Pools, like the lottery, is one of the ways to gamble that is enjoyed across the country with some states spending more than others.